I too trapped last night, at home and a single `away from home` site (allotments in Llanelli), both with rather unspectacular catches. 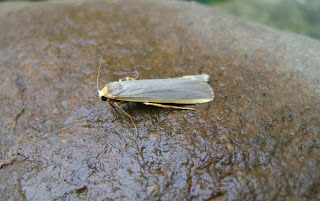 The best moths were probably a bordered beauty and a scarce footman, both in the Pwll home trap. I wish that warmer, more settled weather would return, with the possibility of migrants and also resident moths dispersing more widely in such conditions, adding to the variety in our garden traps. The title of this short blog refers to the fine, drenching drizzle that awaited me this morning (it was supposed to be overcast and grey, but dry!). Above: bordered beauty and, below: scarce footman. 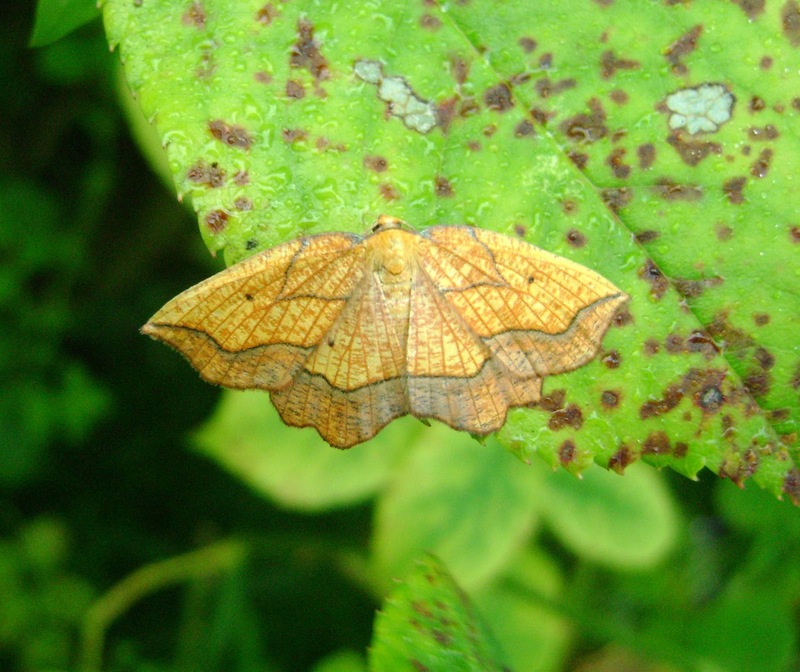 PPS - put out the MV last night (Fri 15/7) for a thorough good soak in a night of relentless fine drizzle, but no exciting moths, though swallowtail moth and yellow-tails were FFYs.